Smaller 4" size. 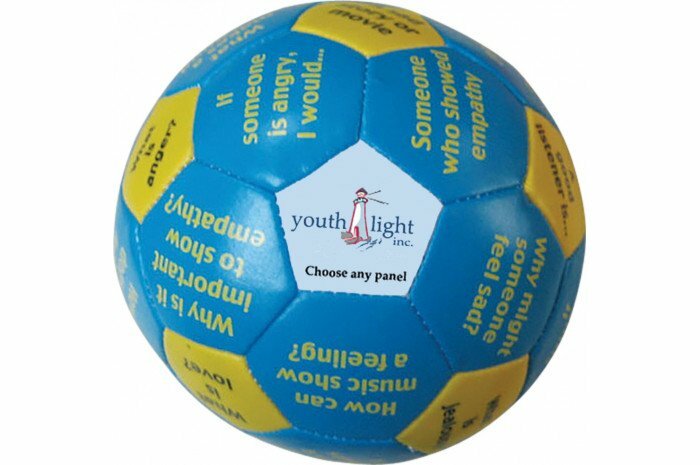 Players respond to prompts on this ball around the topic of empathy. They are encouraged to discuss how to stand in someone else's shoes show good listening and make skillful statements to others as they experience any of several emotions. 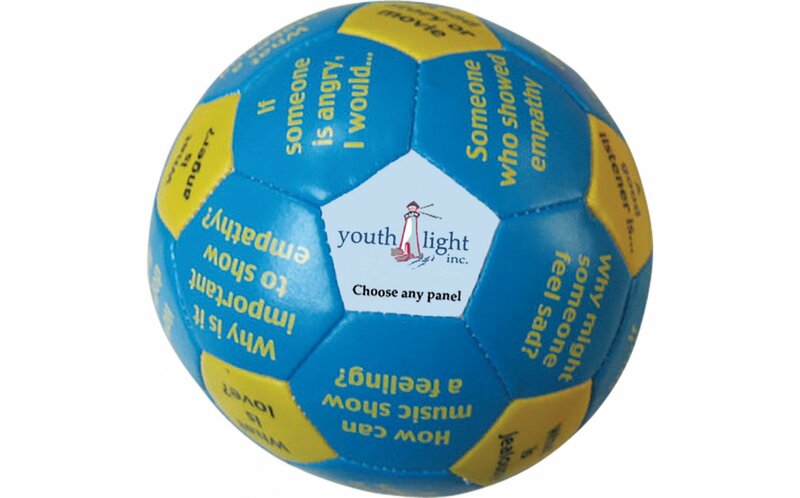 The Thumball offers a fun way for students to discuss the topic of empathy which affects them personally, socially, and academically. Empathy training should be a fundamental part of any anti-bullying program. When students learn to better understand and appreciate the feelings and perspectives of others they become less likely to be bullies and more willing to reach out to any of their peers who might be bully victims.